Bikini waxes can be terrible, if not downright masochistic at times. But that doesn’t mean I don’t continue to get them. It’s a personal preference—I feel more confident, clean, and perhaps even more powerful after a good wax. I don’t choose to do it for any romantic partner, I choose to do it for myself. Which is totally fine! The world is your oyster. Or, in this case, the world is your strip wax. So if you’re like me and opt to sustain a bit of pain for your beauty treatments, I’ve written up a guide (with the help of waxing experts from Spruce & Bond and Strip Ministry of Waxing) on how to make it way less uncomfortable, relaxing even. I’ve broken it down into easy tips and tricks to perform before, during, and after your treatment. Keep reading, and you’ll be ready to make your next appointment free of anxiety. 1. Use an exfoliation serum or scrub for a few days before your wax. Spruce & Bond specialist Nikki Babian recommends the Whish product line as it’s all-natural and really gently on skin (but totally effective). 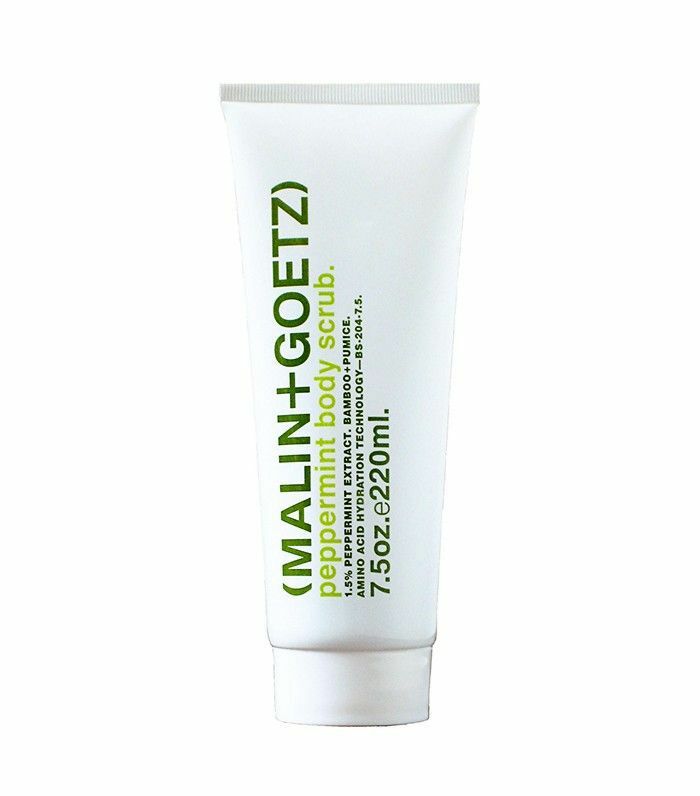 Strip’s lead wax expert, Natalia Romanenko loves using the Malin + Goetz Peppermint Body Scrub ($35) to exfoliate the waxed area once or twice a week. 2. Hard and strip waxes are less harsh on the skin—they are formulated to grip hair (not skin, ouch!) so even your most sensitive areas will see fewer ingrown hairs. “It’s created specifically for sensitive areas, and it opens up pores and follicles to ensure hair comes out easier, which reduces the pain and prolongs smooth, hairless results. Soft wax (it has a stickier texture) is best used for less sensitive areas like legs,” says Romanenko. Inquire about the wax your place of choice uses before getting on the table. Trust, it makes a difference. 3. Everyone is different and has different thresholds of pain. Your body is much more sensitive around your period, so it’s best to plan for a wax during a different time of the month. “Try not to wax at least five days before or during your period. A sweet spot is three to four days after your period, since a woman's pain tolerance is typically higher right after her menstrual cycle,” suggests Romanenko. 4. Although not everyone needs it, you can take a pain reliever 30 to 45 minutes before your wax. It will generally ease the pain (and your mind). 6. Speed and efficiency is key when it comes to keeping pain at a minimum. It’s best to have a specialist who can focus on technique and careful personalization for your particular needs. 8. In that same vein, it might be helpful for you to distract yourself from the pain or awkwardness by listening to music or flipping through a magazine. The more mundane the activity becomes, the less you’ll freak out. 10. Make sure to change into cotton underwear and avoid super-tight clothing for the rest of the day. “Cotton is definitely the way to go after a wax. Even though lace may be prettier, it can carry sweat and bacteria that will lead to infection or ingrown hairs,” explains Babian. 11. Let your hair grow back to a quarter of an inch (about the length of a grain of rice) before coming in for your next appointment. If your hair is too short, the wax may not be as effective and if it's too long, you could wind up experiencing much more pain and discomfort. 12. Stop shaving! Shaving causes terrible pain and itchiness and it makes your hair grow back denser. Once, I did a quick shave in a bind before vacation and my specialist knew when I went back in for an appointment. It really makes a difference! “Once you start waxing, do it regularly (removing shaving from your beauty regimen) and your hair will grow much thinner—making for far less painful waxes thereafter,” says Romanenko. 13. Moisturizing after waxing will help to keep your skin hydrated, which will eliminate the potential for tearing and discomfort during your next wax appointment. And just like moisturizing, exfoliating helps to keep your skin soft and glowing. I’m partial to the Fur Stubble Cream ($32) for once the hair starts to grow back in. 14. It might feel amazing, but don’t take a hot showers or steam bath for 24 hours after your appointment. It’ll dry out and irritate your skin, causing redness, soreness, or both. Do you have more bikini line–related questions? Take a look back at nether-region hair, plus check out an expert’s take on today’s trends.